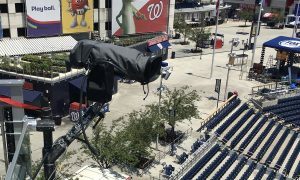 Fletcher supplied a total of 18 robotic camera systems for MLB All-Star. Nearly 20 Fletcher robos were scattered across Nationals Park this week for MLB All-Star festivities, deployed by Fox Sports, ESPN, and MLB Network. 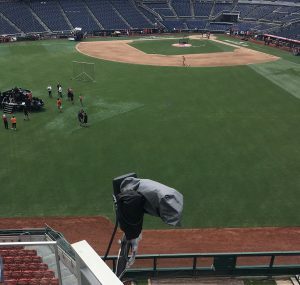 Fox’s All-Star Game coverage featured a total of nine robotic systems: seven Sony P1 robos (including positions at mid home, the booth, both dugouts, and on the roof) and two Sony P43 cameras for the low-home pan-bar robotic systems with 40X lenses. 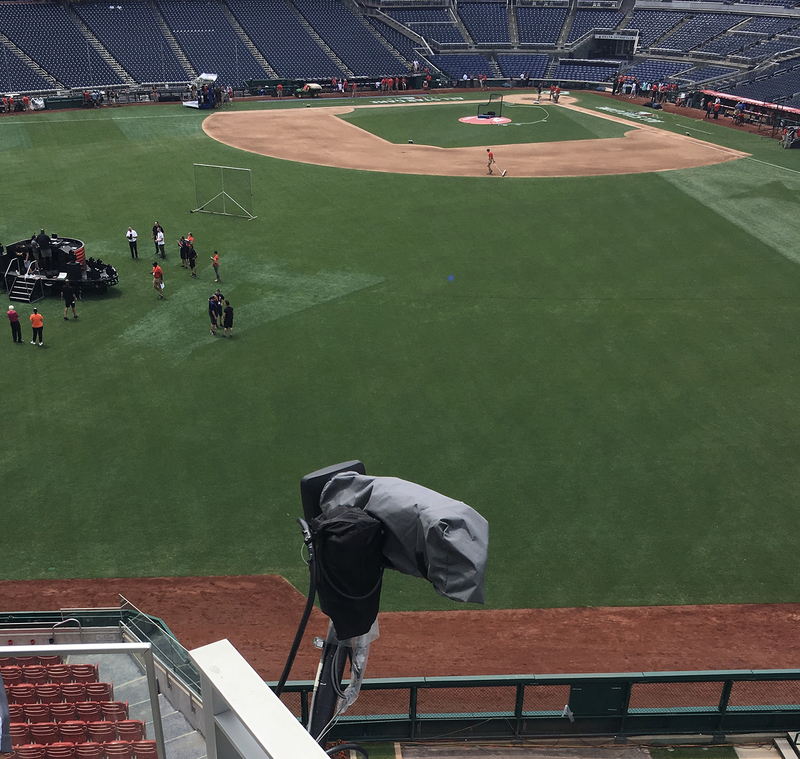 On Monday, Fletcher outfitted ESPN’s Home Run Derby production with seven robotic systems, including two 6X-slo-mo Grass Valley LDX 86 cameras on the first- and third-base lines and an I-MOVIX Phantom 4K unit. In addition, ESPN positioned three Sony P1 robotic systems at the mid-home position, along with a robo near the left-field pole and also on the scoreboard. A Panasonic AW-HE130 robo was placed in the center-field Bud Light deck. MLB Network’s Red Carpet Show leveraged a pair of Sony P1 robotic systems above the player entrance and on the roof of the building to capture the action as players arrived on Tuesday.